CAPA maintains statewide and national communications for the purpose of keeping all of its members current with information relating to the paralegal profession. CAPA also serves as a forum for the pooling and dissemination of varying opinions and professional experiences. As a member of the San Diego Paralegal Association, you automatically receive CAPA benefits through SDPA's annual member dues. CAPA is dedicated to providing a voice of leadership, promoting education and voluntary certification, and advancing the paralegal profession. CAPA GOAL (Growing Our Association Leaders) open to all SDPA members. CAPA's vision is to create and empower dynamic leaders who shape our profession and to invest in our leaders both at the association and individual levels. As a member of SDPA, you are automatically a member of CAPA. 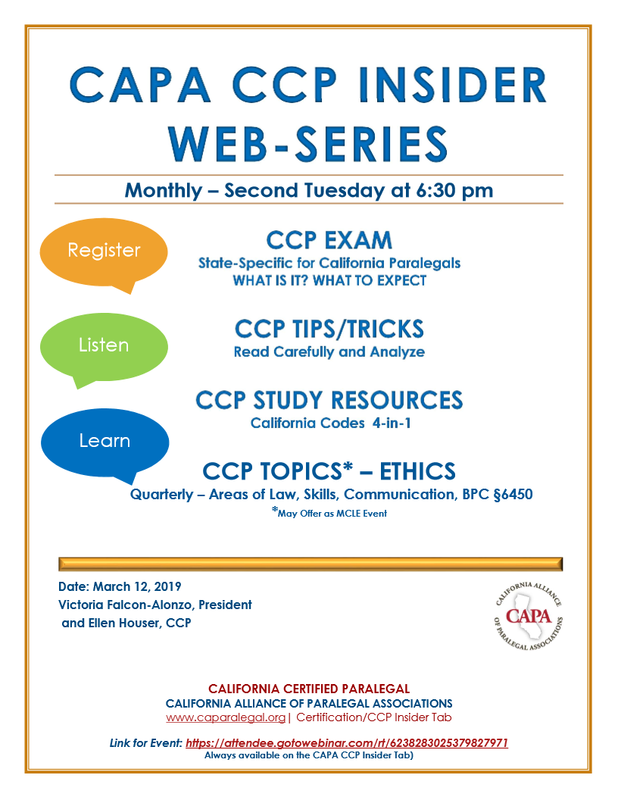 CAPA will be holding monthly webinars on the second Wednesday of each month from 12pm – 1pm PST. Please contact your local representative for the login credentials for the webinar. The 2019 schedule will be posted soon. Please be sure to check our calendar for the most up to date information on these webinars. 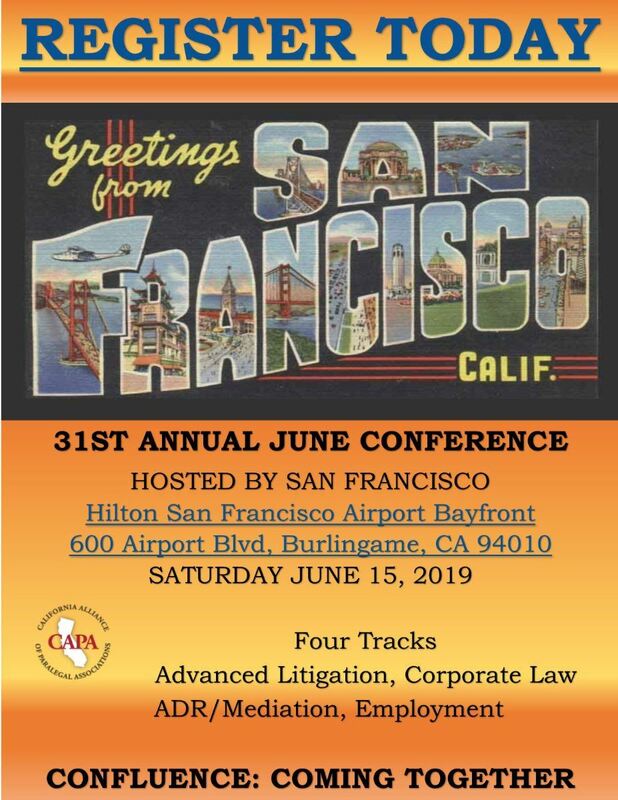 Contact Ali Greenlee your SDPA Director for CAPA at sdpa1@caparalegal.org.